Parker and I were so excited to celebrate our second Christmas as a married couple! 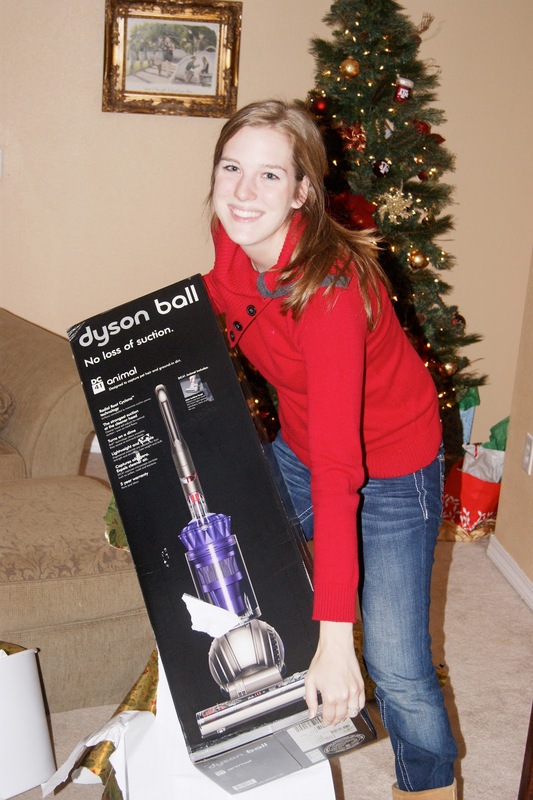 We both love buying gifts for each other and got a little carried away, but we scored some great deals and couldn't resist. Since we spend Christmas in Texas with our families, we make sure we celebrate Christmas with our little family of three beforehand. 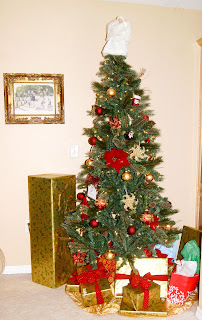 We opened presents December 19th before we headed to Texas the next day. 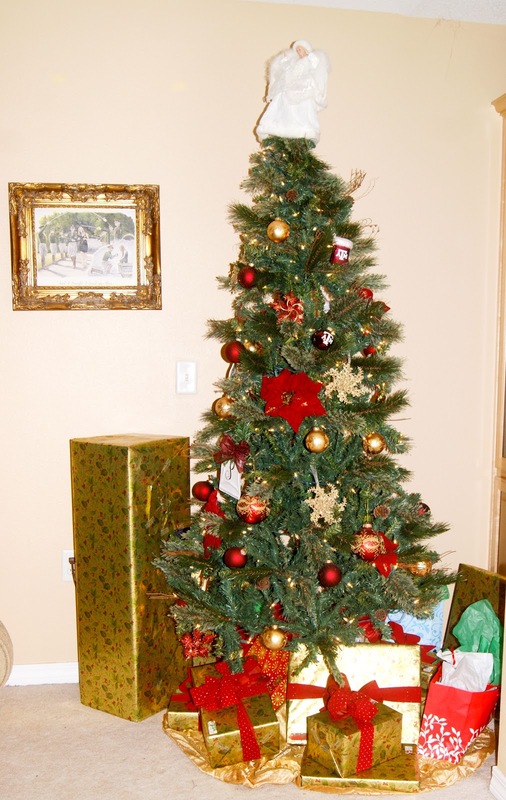 Here is a picture of our little tree with all of our gifts for our families and each other! We got each other little stocking stuffers and loved getting things to put in Jenny's stocking. We opened our stockings and let Jenny check out her little goodies. She didn't really know what to do with multiple toys/bones at one time, so she was really funny to watch. 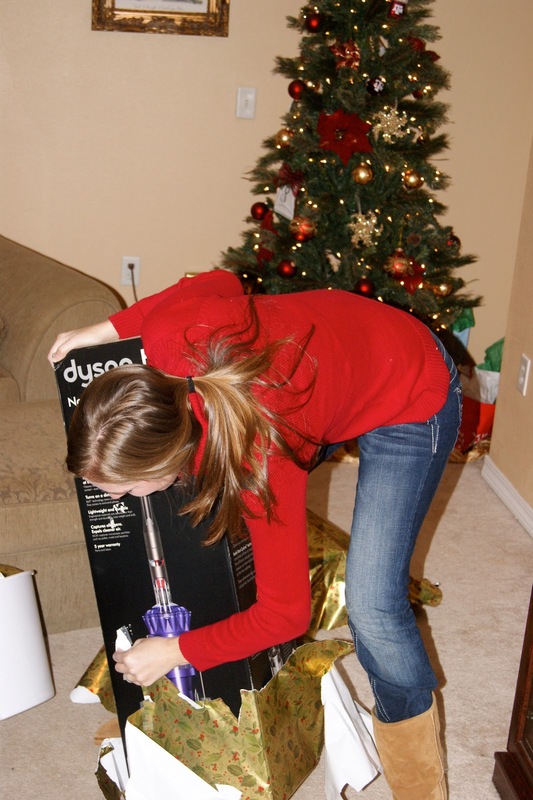 You know you are officially an adult when you get this excited about a vacuum cleaner. Parker bought it at the NEX and ended up getting $200 off in addition to tax-free, so it was a steal. Couldn't be more excited! He gave me a few other sweet gifts as well and definitely did way more than he should have! My gift to Parker was a surprise for him. In October, Parker's mom, Leigh was in Orange Beach, so we drove down to see her and ended up going to Shrimpfest. There were a lot of little galleries and art booths, and there was one who specialized in canvas paintings of dogs that we thought was really neat. Parker commented on how cool the artist's abstract paintings were, so the wheels started turning in my head and I quietly took the artist's card. I contacted Gregg with Billman Art a couple of days later and asked him to commission a painting of Jenny in the style that Parker had pointed out. He was fantastic to work with and even met me in downtown Pensacola before one of his shows to snap some pictures of Jenny as a model for the painting. I couldn't be happier with the results. He and his wife really did a great job capturing her features. Parker was so excited when he saw the painting! We had a wonderful 2nd Christmas together as a family! 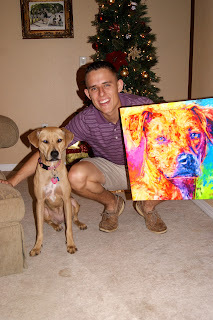 that painting is absolutely adorable! You will cherish it forever!